27 Pages of Building Plans in pdf format. 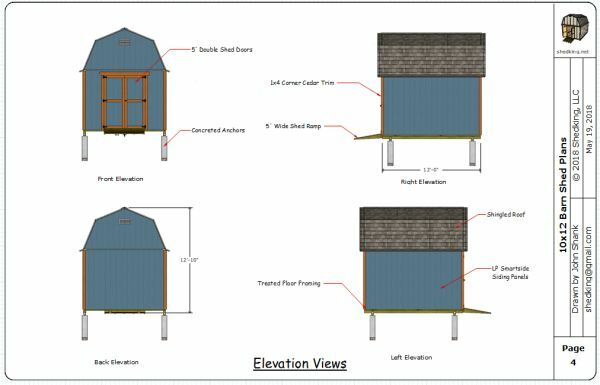 3d interactive pdf files - 1 showing the entire shed, and 1 showing framing detail. 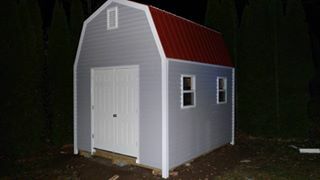 Use with Your Smartphone to Aid With the Building of Your Shed. 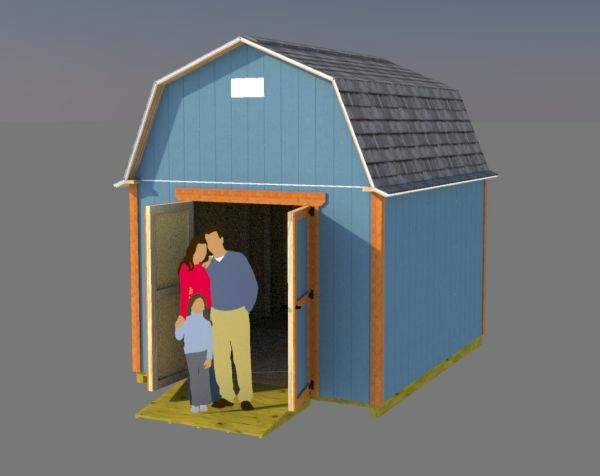 Email support for shed building questions. Treated Wooden Floor Framing With 16" On Center Floor Joists ( Can be built on exact size concrete slab). 2x4 Wall Construction with 24" On Center Wall Framing. 2x4 Roof Framing Construction with Pre-built Interior Trusses 24" On Center and Gable End Trusses for The Ends. 5' Wide Double Shed Doors. 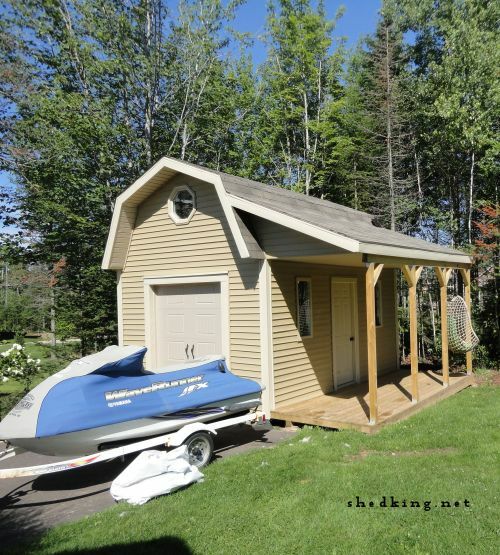 Building and anchoring your wooden shed floor. Pre-building your interior and end shed trusses on the ground then using them for framing your shed roof. 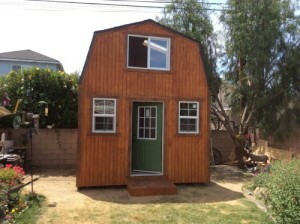 Adding ventilation to your shed. 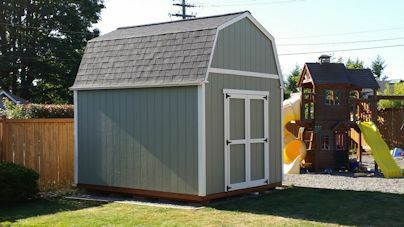 Putting the finishing touches on your shed like roof shingles, corner trim work, and painting. If at any time you have any questions about the plans or building process you can contact me at any time. I try to be as prompt as I can in getting back to you with any questions or problems you might have. These plans are just $9.95, come in pdf format, and are an instant download immediately after you pay using the Buy Now button below. Purchase is made through paypal and ejunkie.com. You do not need a paypal account. If for some reason you don't immediately get the link to download the plans please send an email to shedking@gmail.com.